Your private low-cost minivan and taxi transfer in Crete. TransferPlan will transfer you from Heraklion airport to Sfakaki as quickly, safely and comfortably as possible. Heraklion International Airport, "Nikos Kazantzakis" is the primary airport on the island of Crete and the country’s second busiest airport after Athens International Airport. It is located about 5 km east of the main city center of Heraklion, near the municipality of Nea Alikarnassos. It is a shared civil/military facility. TransferPlan will transfer you from and to Sfakaki as quickly, safely and comfortably as possible. 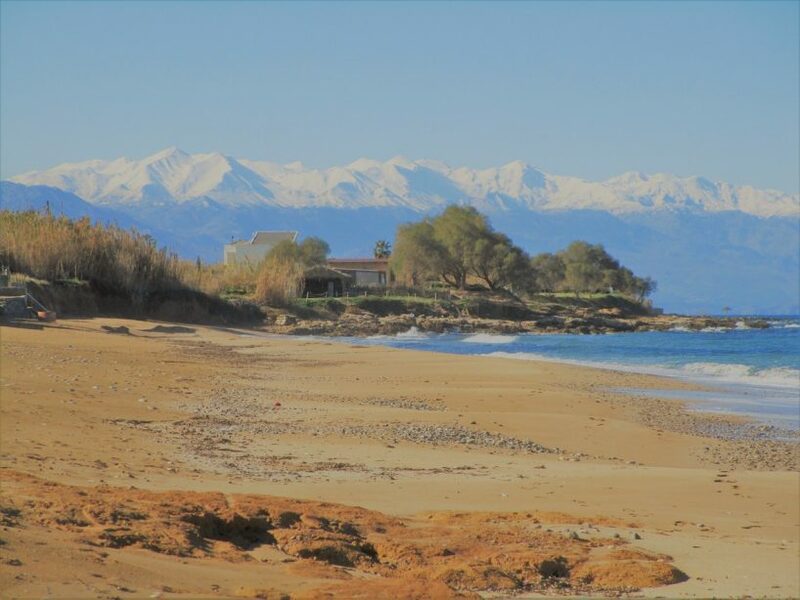 Sfakaki is a seaside village located 10km east of Rethymno Town and 73km west of Heraklion. The village the last decades has been overdeveloped and has become a very popular touristic destination. Sfakaki is unique mainly because of the beach and the beautiful sea. Sfakaki beach apart from its beauty, it is also famous for the fact that the in danger of extinction sea turtles Caretta Caretta choose it for their reproduction. The beach is ideal for swimming, summer sports or just relax and enjoy the sun. During the day you can enjoy your coffee, your juice or your beer at the beach bars located along the beach or you can enjoy a tasteful traditional Cretan meal at a tavern along the beach or visit one of the several picturesque villages around for a more traditional atmosphere. Sfakaki is located in the heart of the Municipality of Arkadi. If you choose to stay in Sfakaki for your holidays, or if you just visit it for a while, turn right on the road to Pagalochori. On the left of the road, it is worth to visit the church which is dedicated to the Virgin Mary. Then continue south and uphill and you will be charmed by the combination of wild herbs, oregano, oleanders and hollies with eucalyptus trees which create an intoxicating atmosphere full of scents. Continuing, on the left, you will find the Monastery Arsaniou. As you ascend, the imaginary landscape offers panoramic views of the White Mountains of Chania until Psiloritis sierra. On the left, on the opposite hill, you will notice the beautifully renovated Venetian houses of the small village Hamalevri. Sfakaki is ideal for those who want to relax on their holidays. You can also use the village as your base for exploring this part of Crete. Its proximity to Rethimnon Town and to the main highway provides you with the perfect place for holidays. Book your airport transfers Crete now. Enjoy a high-quality service at the lowest prices. Best price guaranteed. That’s why we are Crete’s favourite airport transfer company.